It is hard to wear pretty skirts and dresses when it is so miserable outside. We have been dealing with temperatures around -35 degrees Celcius (-22 Fahrenheit). 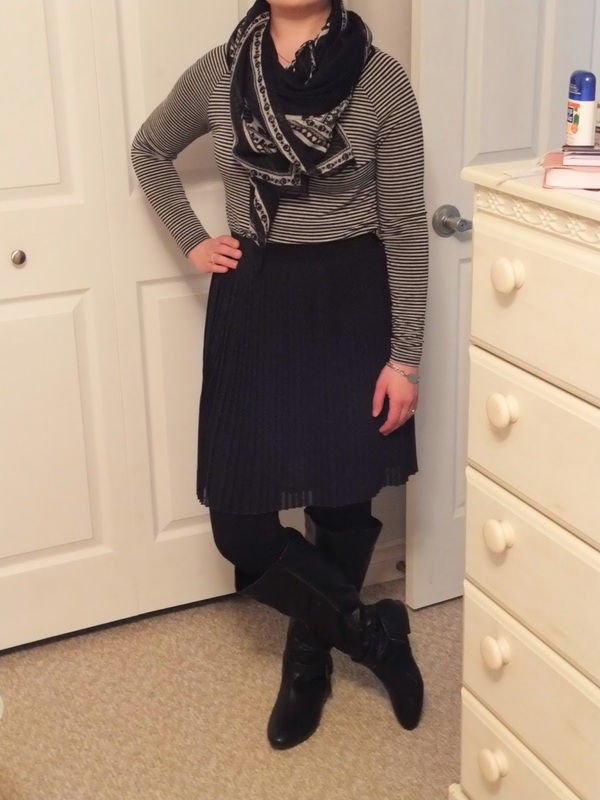 I paired mine with black leggings (warmer than tights), a long sleeve shirt and a scarf. Layering is important! 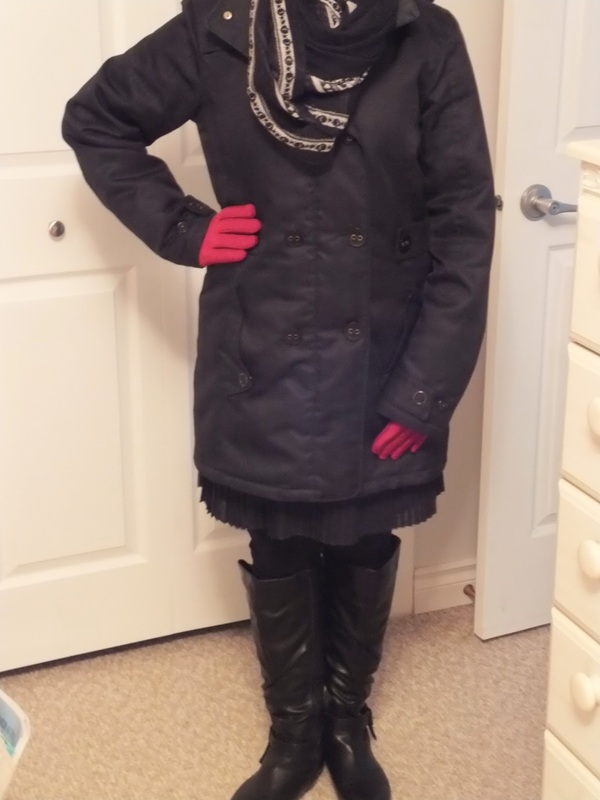 When I was outside, I paired the outfit with my long black coat, tall black boots and red gloves. Thank goodness it is warming up around here! Tweet me your outfits @peacefulsimple with #wardrobewednesday! Cute! I love that scarf. Have you tried the fleece-lined tights yet? I picked some up from Walmart on Black Friday and they're a total game changer! Whoever thought that up is a genius! Thank you so much! The scarf is from Old Navy. I can always find something I like there! I haven't tried fleece lined leggings, but they sound great! I will have to look for a pair the next time I am at Walmart!